It's vital to look at who commits a terrorist act, why they do so and especially how they were able to do it. But presuming all such acts possess some root cause is unhelpful. Nor is group stereotyping that assumes all acts of terrorism arise from the same source. 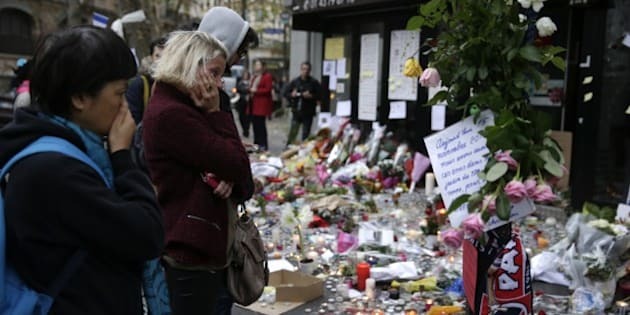 In the aftermath of last Friday's horrific terrorist attacks in Paris, it is quite understandable that there is little interest in discussing possible root causes. Analysts often use the term root causes to contend that it is either the actions or inaction of Western democracies that contribute to such heinous acts. Some counter that engaging in such an exercise risks blaming the victims for the attack. Still several credible observers assume that the eradication of terrorism requires the identification and removal of its root causes. They contend that such knowledge is fundamental to comprehending the context within which terrorist attacks occur and thereby help determine what actions need to be taken to prevent their re-occurrence. Former World Bank head James Wolfensohn has referred to the "root causes of terrorism as economic exclusion, poverty and under-development." NATO's top commander Gen. Philip Breedlove has declared that "until the [root] causes of instability and radicalism in places such as Iraq and Syria are addressed, the West can expect to be engaged in foreign conflicts for a long time... " According to Breedlove, the way to address these root causes is by focusing on bringing jobs, education, health and safety to vulnerable places, as well as figuring out how to make governments "responsive to their people." Long after the terrorist attacks on Sept. 11, 2001, there was debate about its purported root causes. Simply attributing the attacks to hatred was described as an oversimplification. After all, some observers insisted there must be something rational behind the irrational that was driving such hatred. It's tempting to look at why two major recent terrorist attacks have taken place in Paris (in doing so we neglect the fact that there was also a major terrorist attack in Beirut last Thursday). France has strict gun control and a strong democratic discourse. Without putting blame on the victims of terrorism, International Business Times writer Jess McHugh points to recent shifts in France's political atmosphere as well as its presence in conflicts abroad offer clues as to what makes it such an attractive target. Citing scholars and security experts, McHugh contends that an increasingly militant secularism coupled with French intervention in Syria and a large population of poorly integrated, often disenfranchised Muslims makes France a most attractive target for Islamic extremism. Experts attribute part of the integration problem to highly secularist laws introduced over the past decade making it illegal to wear any visible sign of religion in such public spaces as schools or government buildings. Even if the success of such measures is questionable, it's in no way evident that they've contributed to recent acts of terrorism that are quite clearly driven by forces outside the country. What is clear is that not all acts of terrorism are similarly motivated. In the case of the "lone wolf" attacks carried out in Saint-Jean and in Ottawa over the past year, the search for root causes would be a fruitless exercise. Both incidents are best explained by mental health issues. Looking for something more deeply rooted would be tantamount to trying to make sense out something that is senseless. Undoubtedly problems of poverty and inequality can lead to social unrest. But it is uncertain why terrorism must be the ultimate outcome. Terrorist incidents take place in wealthier and poorer nations, as well as in democracies and in non-democratic regimes. In short, the relationship between poverty and terrorism is too often assumed rather than proven. It's vital to look at who commits a terrorist act, why they do so and especially how they were able to do it. But presuming all such acts possess some root cause is unhelpful. Nor is group stereotyping that assumes all acts of terrorism arise from the same source. In some cases identifying why a terrorist act occurred is relatively simple, whereas at other times more investigation may be needed. Either way it's essential to know with what we're dealing in order to be most effective in the response to this ongoing threat. On November 19 at 6 p.m. Linda Leith Publishing will launch Jack Jedwab's book entitled Counterterrorism and Identities: Canadian Viewpoints at the Annual Montreal Book Fair at Place Bonaventure.